Brittney Selby Quilting: 4 Days til Christmas! It's almost Christmas & I have finally finished all of my Christmas sewing. Plus Derek gave me one of my presents early. 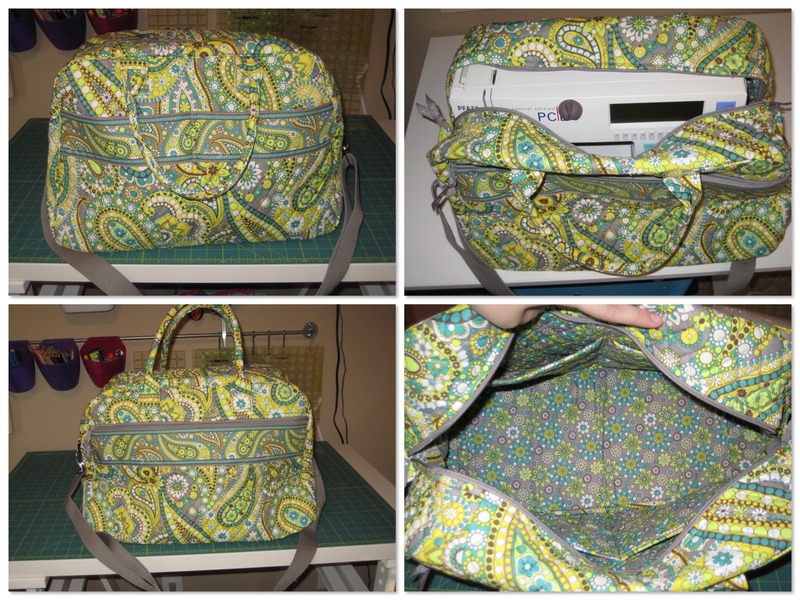 I am too much of a wimp to try and sew the Amy Butler Weekender bag that was the talk of blogland but I did manage to talk Derek into buying me the Vera Bradley Weekender bag. It has two small pockets on the front and one large zipper pocket on the backside. 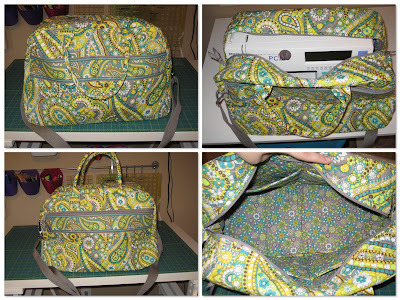 There are four pockets inside the bag & my sewing machine fits perfectly! 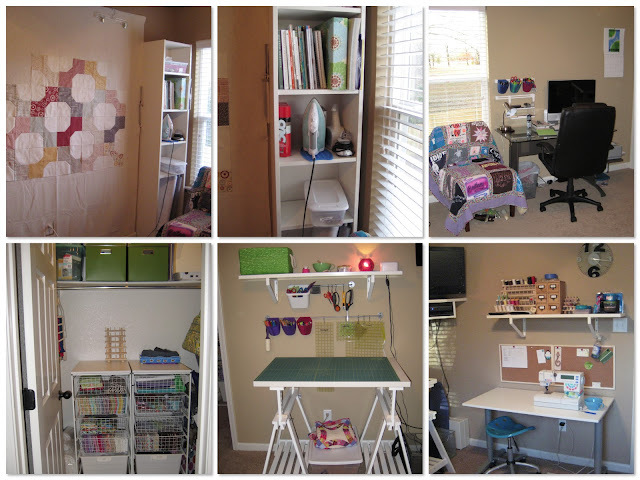 Also as promised here are pictures of my sewing room in the new house. When I need a lot of table space to quilt on, then I move the sewing table in front of the lowered cutting table and I have tons of room to maneuver. Alright now I'm ready for Christmas!